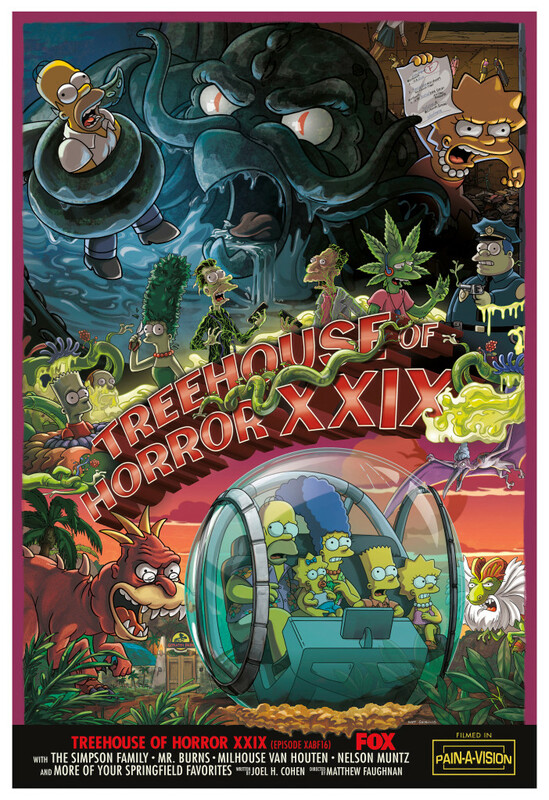 ← 642 "My Way or the Highway to Heaven"
← XXVIII "Treehouse of Horror XXVIII"
"1. Opening sequence: Homer wins an oyster-eating contest against the mythical Cthulhu. 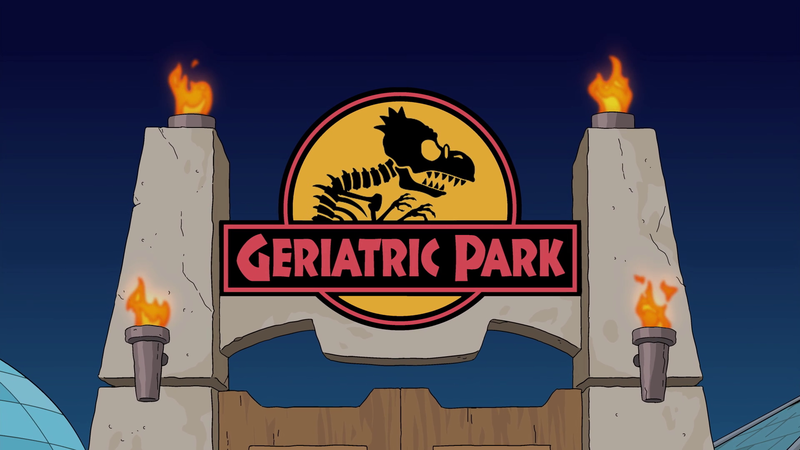 4: Geriatric Park: Mr. Burns opens a retirement home with some Jurassic upgrades." 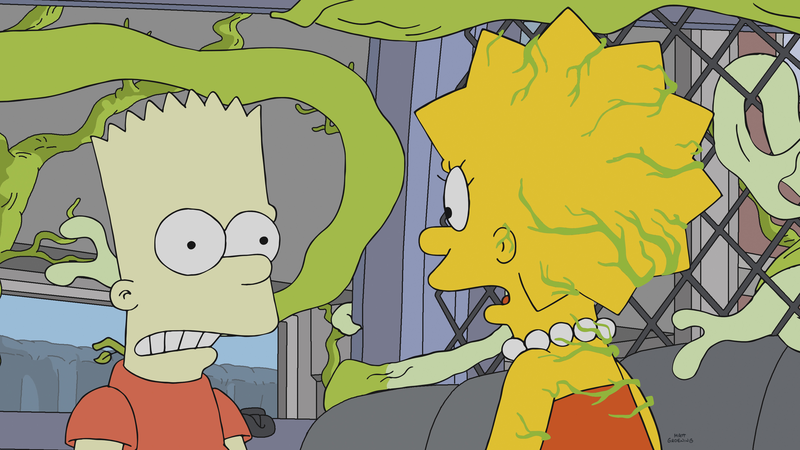 At the Oyster-Eating Contest at Fogburyport, the Simpson family are taking part in it, when they discover that it's a ruse to get sacrifices to Cthulhu. As Cthulhu was about to eat Homer, he challenged him to an eating contest. However, against all odds, Cthulhu loses and asks Homer any wish. 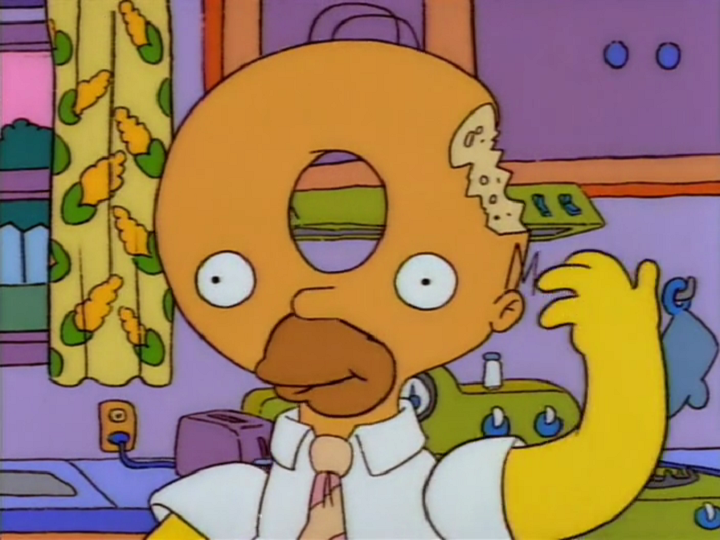 Homer wishes to eat him, and so the family does. 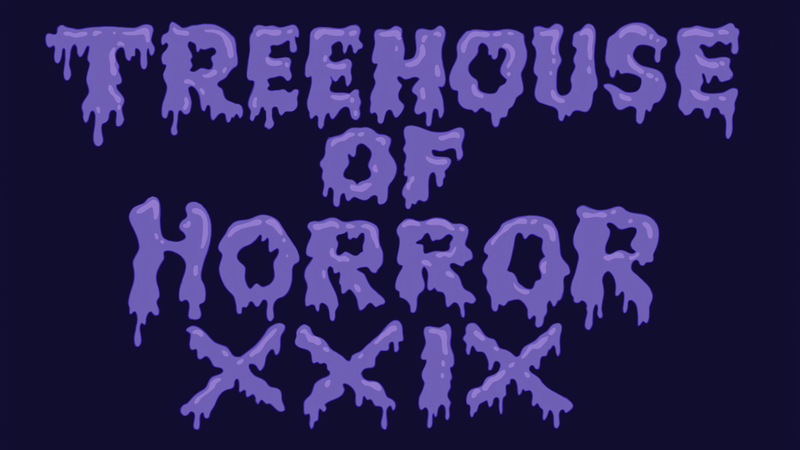 When Homer pokes his ink sac, the Treehouse of Horror XXIX logo shows up. In the underwater Mapple Computer Underwater Lair, Steve Mobbs introduces his successor and the MyPhone Ultima, however his successor is actually an alien ready for an invasion. 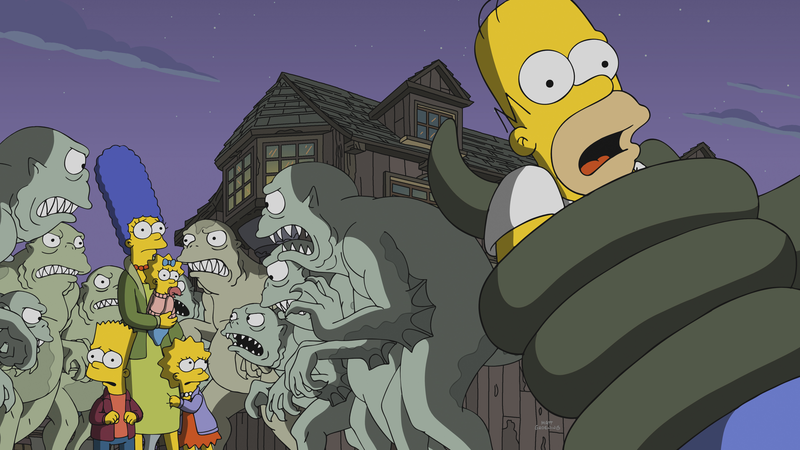 Spores are sent from the alien's home planet, and switch the Springfielders with copies of themself, including Comic Book Guy, Marge and Wiggum. Bart and Lisa try to run away with Lou in the police car, but fail. 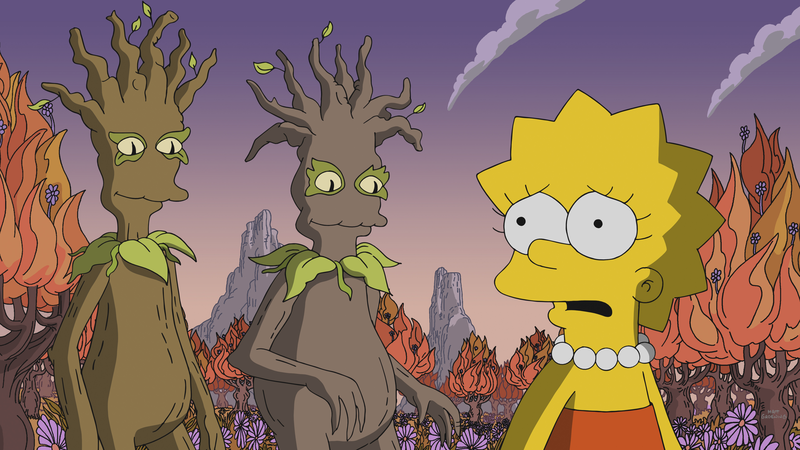 Lisa is brought to the alien world, which is in reality an utopian world. She is welcome by Xylem and Phloem, and finds herself in what human calls Crab Nebula. But not all is as fabulous as they make it seems, as Herb Tannenbaum gives the people phones in this world too. 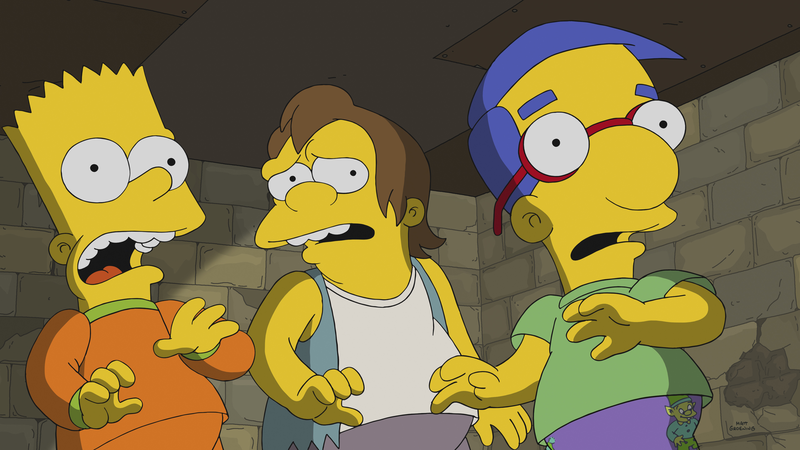 After a sleepover at Milhouse's, Milhouse, Nelson and Bart find themself in a cell, suddenly freed by Penelope, the one that trapped them in it. 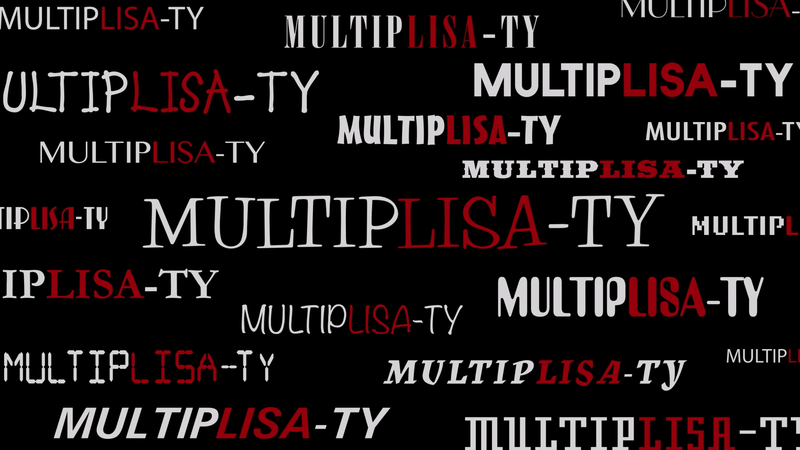 Penelope, which is actually Lisa acting strange, in a multi-personality manner, acts weird and closes them in again after they don't ask for an encore on her performance. 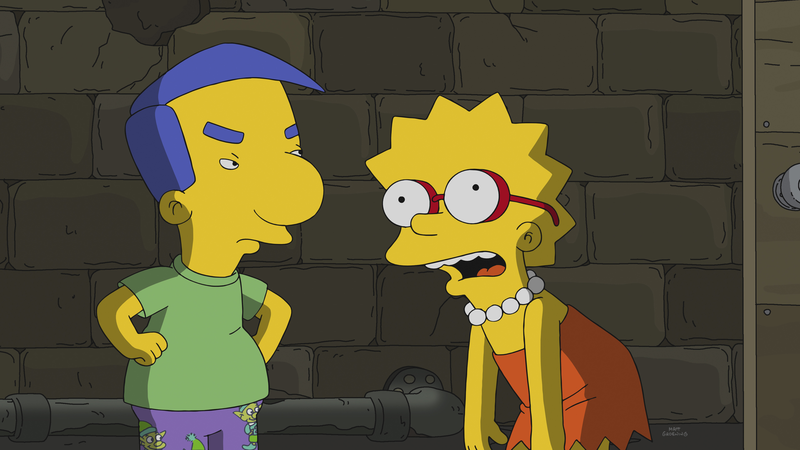 Things get weirder and weirder even at the Simpson House, where Lisa covers Bart's disappearance with more weirdness, while the kids try to open the door using Milhouse's head as an aries, just before scottish Lisa appears, inviting them out to face the beast, after discovering she killed Willie with an axe. 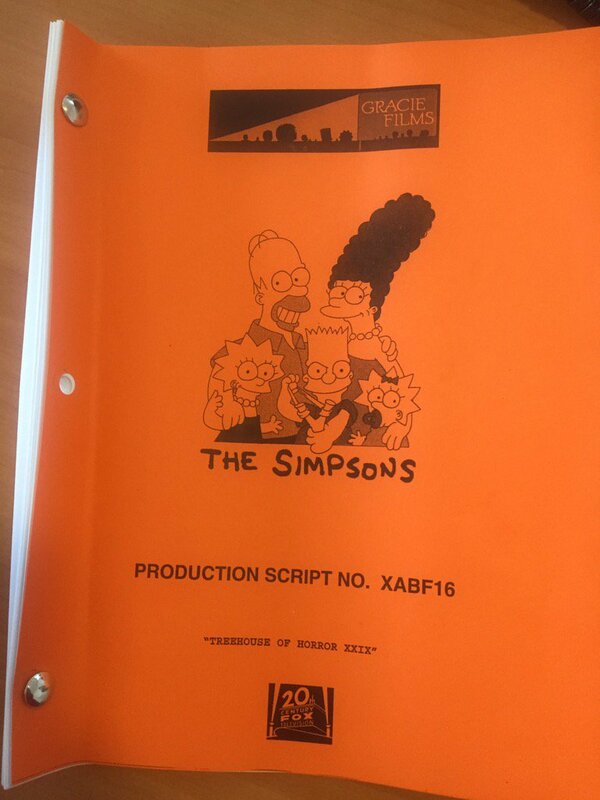 Lisa attacks and kills Milhouse and Nelson, before Bart asks her what happened to her, to which Lisa tells the story: Bart grabbed Lisa's spelling test, changing her answers, mocking Miss Hoover and granting her a F.
Lisa has a last change and gives Bart a last chance to save himself and he redeems himself, saving himself from being killed by trash, while Milhouse was transformed into a "paper boy". Geriatric Park redirects here. For the location, see Geriatric Park (location). For the song, see Geriatric Park (song). Mr. Burns creates Geriatric Park, a park filled with elders rejuvenated by mixing their DNA with dinosaur DNA. 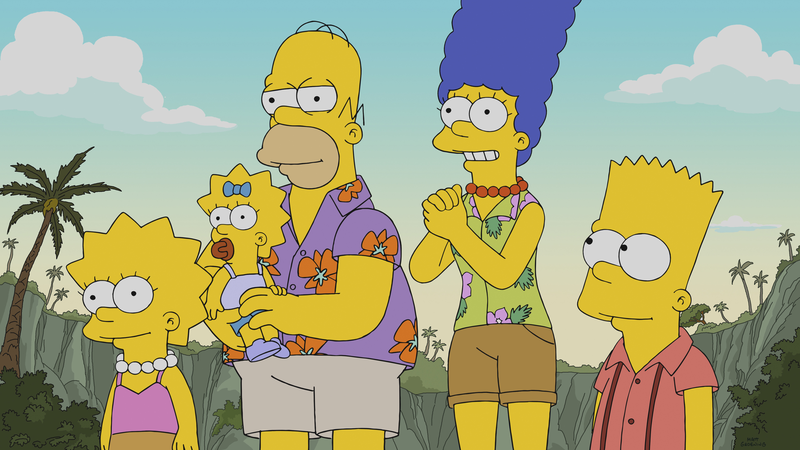 He brings Springfielders to the park, showing them the new "retirement home". At first they're all human, healthy and feeling young again, with incredible strength too, but once Homer raises the temperature after Grampa complains about the temperature being too cold, they transform into dinosaur creatures. 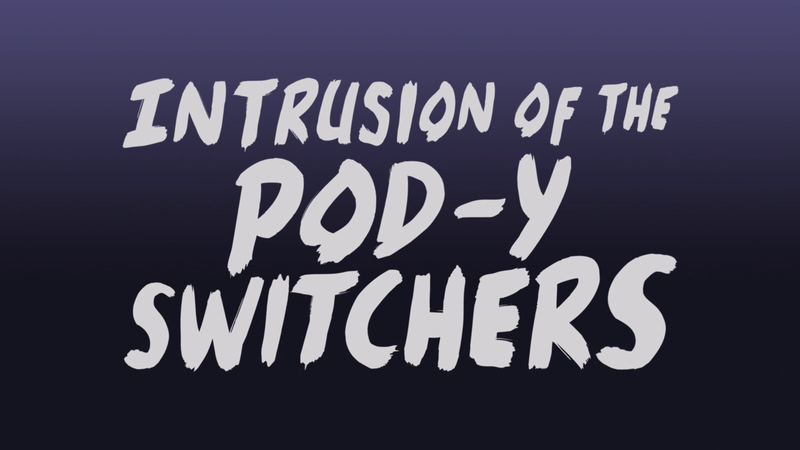 Visitors are killed by the elders, while the family are threatened by Grampa and Jacqueline Bouvier, but Lisa courageously confronts Grampa, and find out they all just needed to be cherished and respected. In the end the family escapes alive, though their helicopter is being flown by pterodactyl Agnes. Modified on November 26, 2018, at 19:01.